Director of Adepa Asset Management S.A.
Jean Noël is the President of the Luxembourg Association of Compliance Officers (Association Luxembourgeoise des Compliance Officers – ALCO), he also sits on a number of committees: Comité des Obligations Professionnelles with the ABBL, Comité de prévention AML/FTF, Comité de Gouvernance d’entreprise, comité consultatif anti blanchiment (the anti-money-laundering consultative committee), and others. After qualifying as an engineer on completion of long and brilliant studies, his carrer is built around the banking sector, first he joined to Banque de Bruxelles, where he was responsible for IT projects, then in 1977 to Crédit Communal de Belgique, one of the two banks that founded Dexia in 1996. 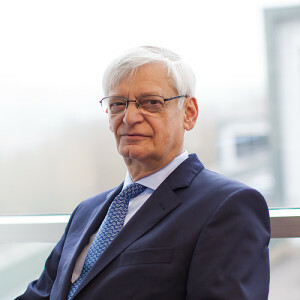 In the course of three decades with the bank, Jean-Noël Lequeue has worked in many areas, from IT to the Chief Compliance Officer role created for him, not forgetting research, purchasing, marketing, general inspection and the management committee.